I'm just being honest. It's infectious. My history with the sport (yeah, I said it) is limited to snow covered parking lots and public roads in all-sorts-of-wheel drive vehicles. 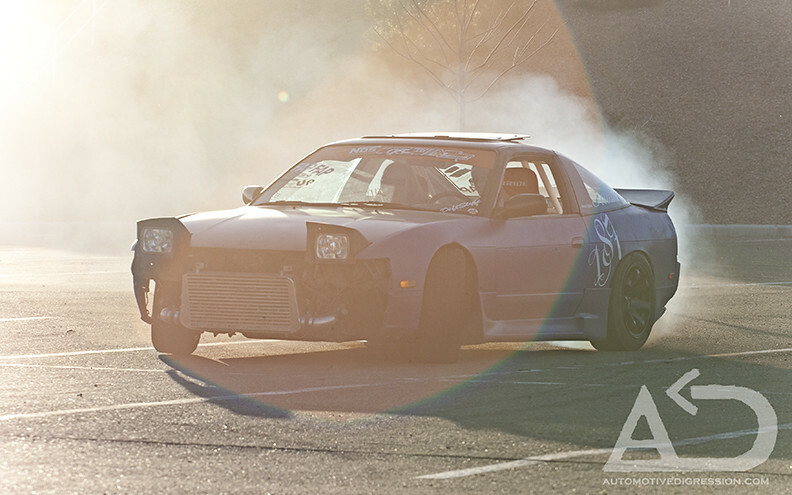 Obviously there is a large disconnect between myself and the sport of drifting, but recently we've associated through photography. If you're a regular reader you will already know that, but I haven't really written about it personally. I stumbled in to drifting on a shortly planned move to Santa Fe, New Mexico. I was just getting in to photographing autocross and rallycross in the Northern Nevada and California area when said move came to fruition. My time behind the wheel has been severely cut back since I realized that combining two hobbies was more fun than individually. So when I arrived I hit Google hard and educated myself at RacingSouthwest.com, then went out to the first practice of the season at Sandia. Unknown shaggy dude: Hey, I'm Dan. Me: Are you that guy from the Icon drift video? Dan Brockett gave me a ride out to the apex of the first corner and explained where it was safe to post up. 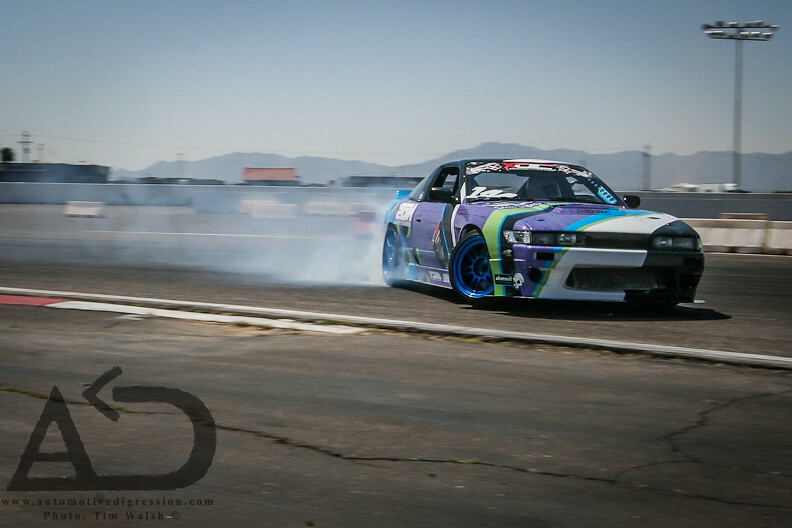 I spent the next few hours taking in the sights and sounds of grassroots drifting, and that was it. I was hooked. Throughout the day everyone I encountered was as nice as could be and I was informed about the monthly Sagebrush event, which was recently canceled. More on that later. Then, by a stroke of luck I was able to attend rounds 1 and 2 of Xtreme Drift Circuit. Now I'm planning to make it out to all the local events, and I don't want to stop there. I think the drive comes from the community more than the sport itself. It's an unusual environment compared to the motor sports I've experienced. It's friends helping one another out in order to have as much fun as their available tires will allow. Competition comes second to getting as many people as possibly to have the maximum amount of fun, be it spectators or drivers. Instead of further explaining my recent infatuation with drifting I'd like to share the highly anticipated Keep Drifting Fun. 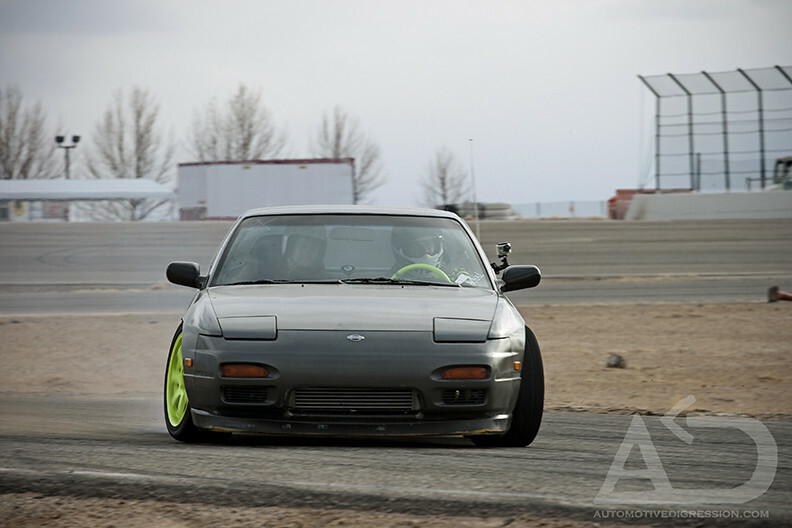 Drifting is alive and well in America. It spans throughout the country and big name sponsors have caught on to its popularity. There is a large professional field because of it. However the mentality hasn't changed; Keep Drifting Fun. Categories: "Drifting", "Keep Drifting Fun", "Nissan"